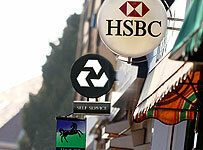 The ‘Supreme Court‘ (whatever that is) has ruled this morning that the Office of Fair Trading cannot investigate the fairness of high street bank charges for unauthorised overdrafts, in a move that will be hugely disappointing for millions of customers. The ruling is reckoned to be worth more than £2bn a year to the banks and effectively represents yet another bail-out, the cost of which will be met by those who can least afford it. The basis of the ruling is ‘you should have read the small print when you opened your account’ which, while technically accurate, rather misses the point. It’s not as if, having waded through the acres of small print, your average punter is then in a position to choose between a number of banks with different attitudes to charging – they all do the same thing. In most areas of business this might be interpreted as operating a cartel but, as we’ve seen over the last few months, the banks seem to operate in a regulatory world of their own. What this effectively means is that the banks are being propped up once again by those who can least afford it. As Polly Toynbee highlighted in her column in yesterday’s Guardian, the poorest 10% pay 46% of their income in tax while the richest 10% pay only 34%, and vast amounts of this tax revenue have funded the recent bail-outs (I’ve lost count of the billions involved). Now the poorest (those most likely to be overdrawn) have once again been shafted by the banks. The Supreme Court has legitimised robbing from the poor to give to the uber-wealthy but perhaps the most depressing thing is that we can’t even blame the Tories.